Chinese smartphone manufacturer Meizu is gearing up for a new product launch on March 6. A couple of invites has surfaced online which reveals two smartphones E3 G and E3 P to be launched. They are likely the same model with different variants. It is not clear why the letters G and P are selected, but it speculated that it stands for Gaming and Photography respectively. This also tells about the USP of the devices and how the specs will be focused. Also, the possibility of a different variant with both the USP’s can’t be ruled out. 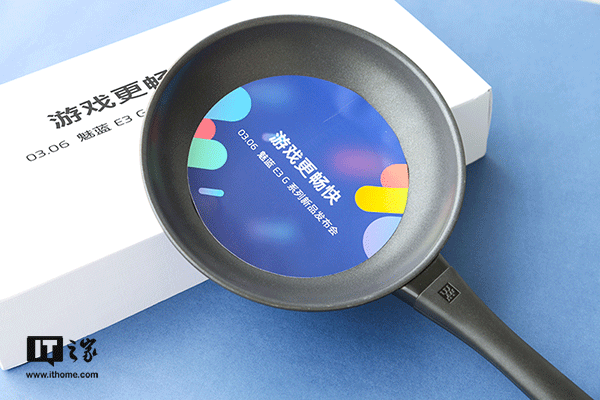 The leaked live images show the invitation in the form of frying while another image featured a mug which looks like a camera lens. The frying pan image contains the label E3 G while the lens mug contains the E3 P label. 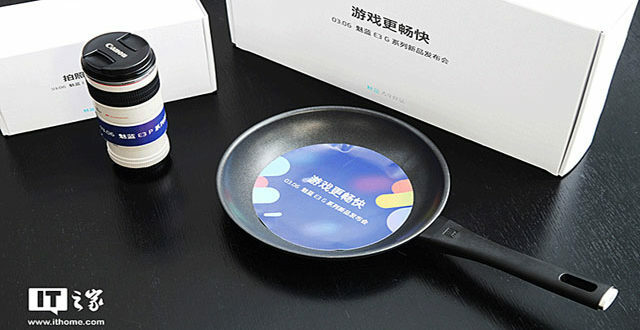 We can see the relevance of photography on the camera mug, but we still don’t have any idea about the frying pan. About the smartphones E3 G and P, leaked details reveals the smartphones will sport a full-screen design and likely with an 18:99 aspect ratio. Meizu will be going for its signature side mounted fingerprint sensor that came with the Meizu M6S. Also, the devices are expected to feature dual camera setup on the rear stacked in a vertical position like the iPhone X. Another possibility is that only the P or the Photography variant will be coming with the dual lens while the G version will have more RAM or bigger battery for enhancing the gaming experience. According to the rumours, the smartphone will cost around CNY 2000 (Rs 20,500 approx) which will put up against the likes of Honor 7X, Oppo F5, Xiaomi Mi A1.